Conceived by Verner Panton in 1960, the Panton chair was developed for serial production in collaboration with Vitra (1967). 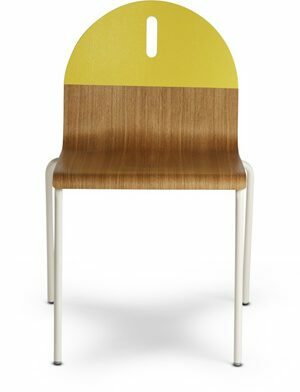 Today, the all-plastic chair is an icon of twentieth-century design. It has received numerous international design awards and is present in the collections of many prominent museums. It is available in a choice of bold and subdued colours. Please note: Special additives slow down the fading process caused by ultraviolet rays. However, leaving the chair exposed o the sun for an extended period of time can result in color changes. Vitra recommends not leaving the chair in the sun.